We have another major quake! 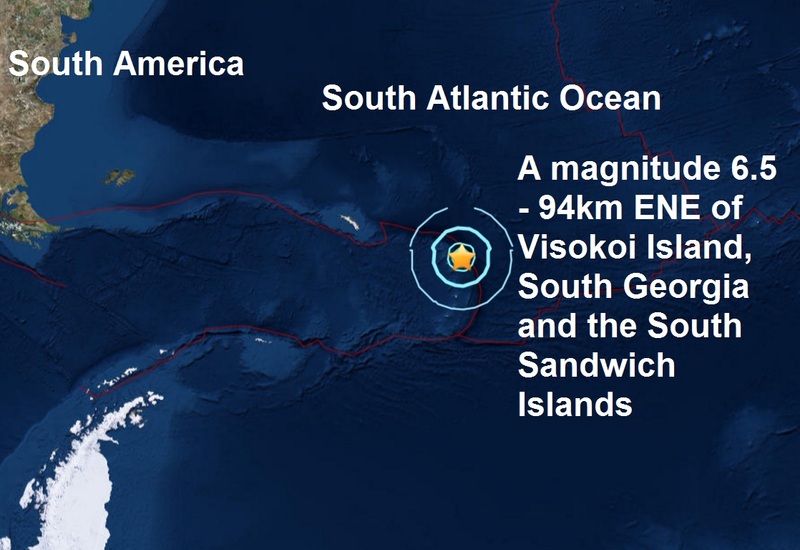 A magnitude 6.5 - 94km ENE of Visokoi Island, South Georgia and the South Sandwich Islands is the sixth major quake of May and the 30th of a record breaking low count so far in 2017. Today’s quake is the second in the last 24 hours after a magnitude 6.8 struck Port Olry, Vanuatu yesterday.